For our popular truck camping destination series, we are developing a feature story on places to explore and camp in and around the Black Hills in South Dakota. 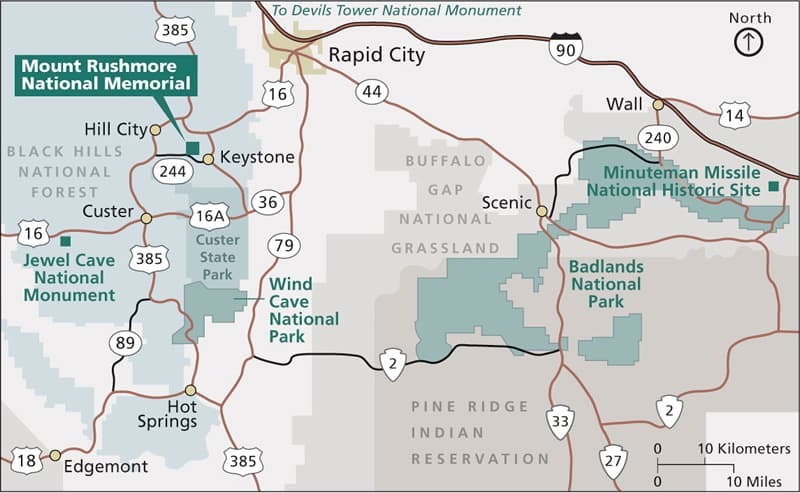 The Black Hills area includes Mount Rushmore, Badlands National Park, Wind Cave National Park, Custer State Park, Minuteman Missile National Historic Site, Jewel Cave National Monument, and Buffalo Gap National Grassland (see map below). For the destination article, we are interested in anything you recommend for fellow campers in this area. We are looking for everything from popular tourist destinations, to off-road and off-grid campsites, to unique opportunities in the Black Hills area. As long as it’s from a truck camping perspective, and you recommend it, we want it. Home » Truck Camper Magazine Blog » Have You Truck Camped in the Black Hills or Badlands?